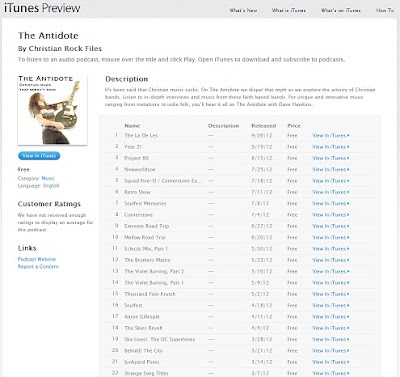 All of the recordings of The Antidote radio shows are now on iTunes and available for free streaming or download. If you’ve ever missed an episode or simply enjoyed one particular show or artist, you can now have the recording for your very own. The most current show recording is found at the top of the list. Best of all it’s free! Follow the link below to access The Antidote on iTunes and become a subscriber so that you listen in.